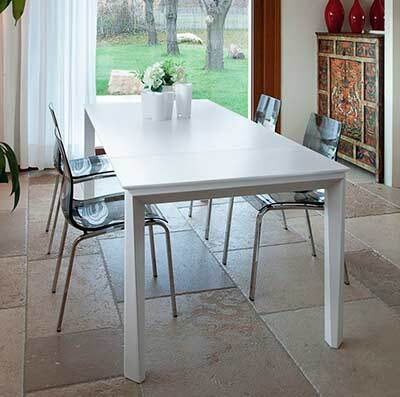 Add a classic yet modern feel to any home with the Domitalia Universe table. 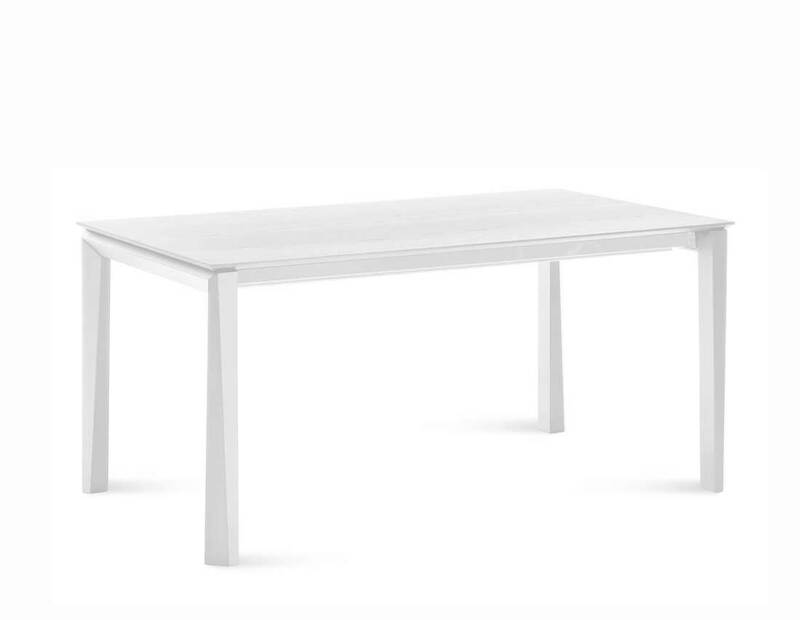 The spacious Universe table features self contained, independently operating extensions that expand to seat up to fourteen guests. 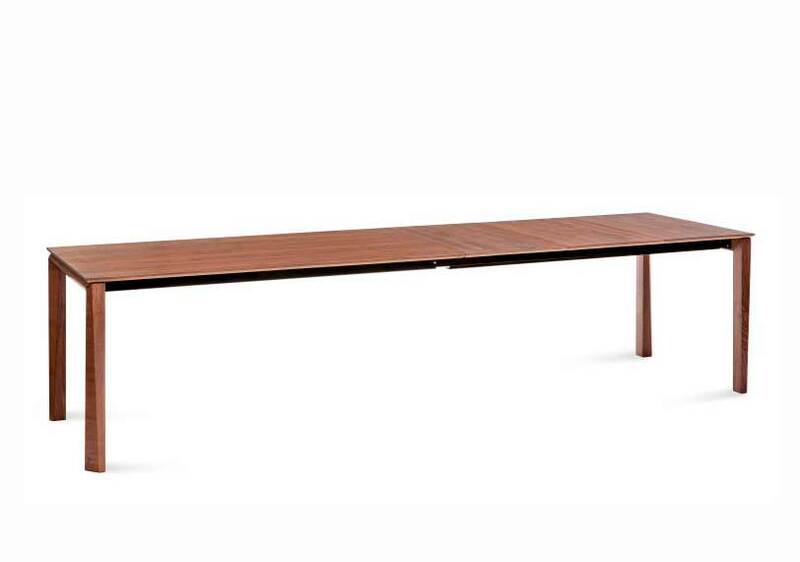 Ideal for those huge family gatherings, the Universe table will be a big hit during the holidays. 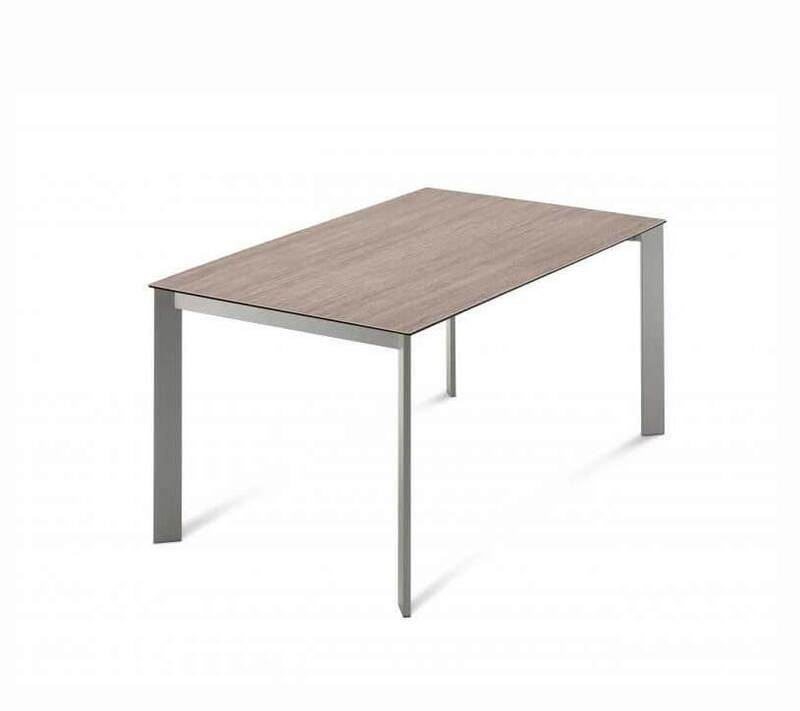 The clean design works to only highlight the natural beauty of the Universe table that comes in several finishes with your choice of wood or metal legs. 3 matching leaves measuring 19 3/4"
Frame finishes: Satinated Aluminum, Walnut, White Matte Lacquered. Top finishes: Anthracite Acid Glass, Dark Obsidian Ceramic, Extra White Glass, Light Oak, Light Obsidian Ceramic, Walnut, White Matte Lacquered. New arrival! 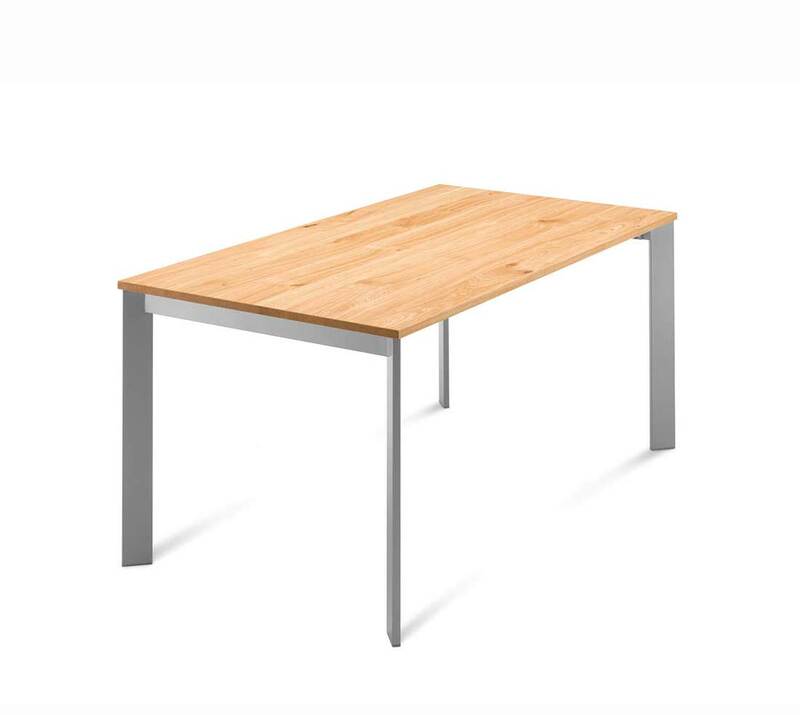 Dining table with extension. Contemporary design by Domitalia (Italy).